The new school year has started and fresh new school shoes are always a sign of new academic beginnings. However if you have noticed in previous years that the school shoes have become distorted in an unusual way it is a major sign of a foot problem. The structure of the foot can distort a shoe causing unusual heel wear or unusual bulging on the upper leather part of the school shoe. 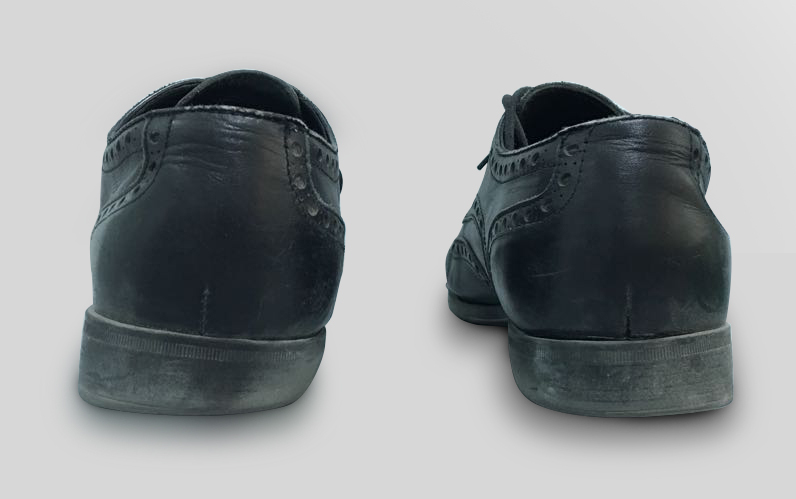 When the shoe starts to deform, it can increase the problem in the structure of the foot. It is essential that you bring your child in for a foot assessment if you think their feet are moving in and unusual way or the shoe is wearing away and in unusual pattern. You can make an appointment with a Podiatrist to check the alignment and in most cases it’s very easily corrected with a specialised orthotic inside the shoe that will align the fit and improve their walking and wear o the shoe. Here is a photo of a shoe that has become worn away in an unusual heel area and also bulging inwards from a fit that is becoming flat. This boy was 14 years old and the problem was corrected with three phases of orthotic therapy in his school and sports shoes over nine months. Hello, my son is wearing his school shoes now for 6 months from September. Now that are deformed and not looking good. The inside is destroyed on the shoes. His feet are flat. We feel bad for him and we want for him to go to the military school. Can we change and do something for him? Thank you. Yes You should bring him to see the Podiatrist and bring his school shoes and sports shoes and some shorts to wear for the assessment. We will check him thoroughly.